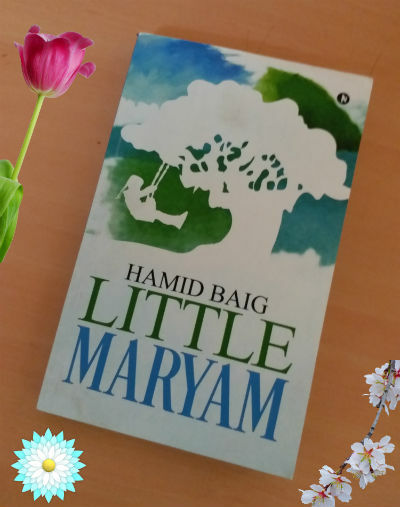 Recently I got a chance to read a book named Little Maryam by Mr. Hamid Baig on behalf of our team. Hamid started writing short stories at very early age, however this is his first book. So let me share my unbiased views and review for this debut work by him. Let us start it with the cover page. As you can see the cover page is weaved by using the cold yet cheerful colors. This will give you a feeling that a soothing reading experience is awaiting for you. An illustration of a girl swinging on a natural swing we used to create in our childhood days by tying a rope and other stuffs with a strong branch of a thick tree gives the book an appearance of “kids special” book. The name also suggests that, but the book is not for the kids. Dr. Saadiq Haider is a well doctor who is respected for his intelligence and skills. To add to the positives, he was awarded the Nobel Prize, which is considered as the highest honor one can achieve. And, it rightfully, made is a person who enjoys special privileges in many cases. He need to run from the award ceremony and catch a flight to India, as a phone call from India interrupted him while giving the Nobel prize acceptance speech. Of course, he is not in his best mood due to the course of events and the message he got. And to add to his disappointment, a lady reporter named Anne Frank tried to catch him for an interview on the Airport. And, if it was not all, she accompanied him on his long flight as well. She was curious about the call Saadiq got, and to know more about him and his life. Eventually, while trying to keep himself calm and composed with the use of alcohol, medicines, and some other means, in a not so comfortable flight; Saadiq reveals the layers of his life. And, thus, we are introduced to “Little Maryam”, a young, enthusiastic and innocent child from Dehradoon. Maryam’s father, Col. Dawood was serving in Indian Military and Dr. Saadiq(then, just Saadiq)’s father, Haji was a gardner at Col.’s place. Haji and Col. both were widowed and Saadiq was given a responsibility to look after Maryam. Eventually they become friends and there is a chain of positive and negative events waiting for both of them in the future life. There was a swing at a specific place of hill, bound to a strong branch of a thick tree. Maryam used to play there and enjoy it there. Saadiq considered it exclusive for Maryam. How the life moves ahead Little Maryam and Dr. Saadiq is worth to explore by reading the book. It is a challenge to keep away the spoilers while mentioning the book’s plot or presenting views and reviews for the same. However, it is very much necessary, so I will try to keep the spoilers at the bay, as much as possible. The book starts as a bumpy ride for me to be frank. Whether we believe in the philosophy of “not judging the book by its cover” or not; we used to do it. The first impression of the book for any one based on the title and the cover page is that it is a book for kids, which it is not (and we mentioned it earlier as well). If you read the book till the last page, you will realize that the title is very significant. There are some portions in the book which are for adult readers only. The book also contains some chapters which possess all the elements of a good psychological thriller. The book deals with the emotions and logic at a large amount. The way each character behaves in specific circumstances has a reason, and the author is successful it in elaborating it properly. As a reader, you almost cannot find a remarkable incident which is meaningless. It is pushing the story in one way or the other. And, as you know each action will be answered by a reaction, you witness the consequences in the later part of the book. The book is divided into two parts, the first part consists of 9 chapters, explores the story in a segment dedicated to Dr. Saadiq Haider. The second part of the consists of 7 chapters and it explore story in a segment dedicated to Maryam. While the second part is not possible without the first (in terms of events, incidents, character transformation and other attributes), the second part is much better than the first. I was struggling to keep reading the first part, but, the second part amazed me for sure. So, possibly other readers may experience the same. I must give credit to the author for the way the characters are explored. In an innocent love story which could have been like a fairy tale, he added the right amount of mixture of circumstances and reality. It has the politics, it has the violence, it has the emotions and thrilling moments too. In a way the book tries to cover lot many things. And, that is how the things happen in the life. Though, it is progressed in the linear manner, there are multiple branches we see going out and coming in, into the flow of the life. The book is almost the same. While the adultery and references to the material way of life adds realistic touch to the book, it could have been avoided. Because, no mater what you think, I am an ethical journalist. We do exist, you know. Bhiduri had chosen to walk the path of corruption and inefficiency, and as a consequence, had successfully alienated the local people and was now expecting a humiliating defeat in the next elections. I’ve witnessed several men, in pilot uniforms, unable to reach down to tie their own shoes. They are heart attacks waiting to happen. Some people sleep through their whole lives, why shouldn’t that man sleep through his death? Man is responsible for his own suffering. No matter, you don’t have to believe in something for it to exist. Nothing like free booze to win the admiration of the masses, no matter that only minutes before, we had all been facing the prospect of death by airplane. Do you understand that? You are just the son of a gardener, no matter your test scores and science trophies. The love between a daughter and her father is a bond that is unbreakable, especially considering that the rival, the only one with the slightest chance of loosing this attachment, was in prison for the foreseeable future. Here are some lines from the book which I found interesting, and I am sure you will share the same feelings. Probably, the author must have enjoyed them while writing :). At first, you will feel your body fight, fight for breath, fight to stay with the living, but that will apsss, and the pain of life will ease. I’m scared too. But, we can’t let fear dictate our lives or what we feel. It never hurt to have friends in high places. Faithless Saadiq became faithful in that moment. The author is good at exploring the scenes and explaining the surroundings. He succeeds in creating some convincing scenes so nicely that you will feel watching in front of you. Well, I cannot talk about these scenes in much detail to avoid spoilers. The way the emotions are represented in the book is also good. There are scenes which make you feel the pain of the characters. In, a sense the book talks about hope and better future. There are references from contemporary famous characters taken, for example, a sentor is named as Mark Grisham. Possibly it will remind of famous author and former lawyer John Grisham. The character appears in almost similar context. Overall, the book is a bumpy ride where I found the second part much better than the first one. Next: Interview With Sudarshan Mahabal | Author Of Love Trumps All!